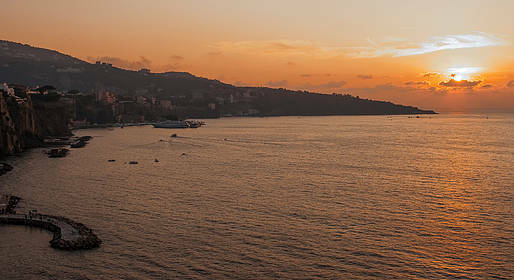 When the sun goes down, the sky and the sea along the coast of Sorrento are dunked in the beautiful light by the magical summer sunset. You get to look at this wonderful show from the sea, on board of a typical boat: the Gozzo Sorrentino. Departure to Punta del Capo sailing along the Sorrento Peninsula. Along the way you will admire: the ancient fishermen village of “Marina Grande”, the ruins of a roman villa near “Bagni della Regina Giovanna”, the natural waterfall that flows from the rock, and other interesting attractions along the coast. 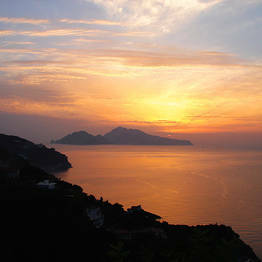 Stop at Villa Pollio Felice with free time for swimming while the sun goes down. Happy hour at sunset with appetizers, sparkling wine and good background music. 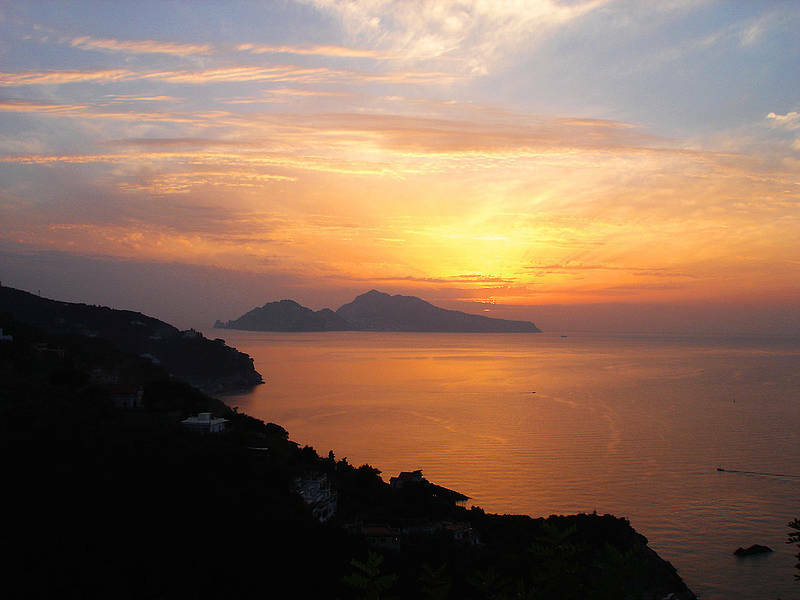 Return to the port of Piano di Sorrento and, if you decide to, have dinner in a seaside restaurant with local dishes. Transfer to the initial meeting point. On board: snacks and drinks (including prosecco), snorkeling gear, life jackets, wc. The dinner is not included in the price of the tour. Customers that want to join the dinner can pay an additional €30 per person, on the same day of the tour. Code: SKZ3S By You Know!